Lake-Town is the new expansion city to the Kingdoms of Middle Earth that was released late November, and which will be available to everyone after the 4th of December for free! Unlike the 4 older cities, the style of the city matches that of the human Lake-town from the movies, instead of the familiar Elven or Dwarven theme. Although a lot in the city will seem familiar, some key differences with regards to gameplay and buildings also come with the 5th city. In this article I will sum up all available information on this newest city. When opening up Lake-Town for the first time, you’ll see it has a completely different look and feel as compared to the older cities, sporting a more human appearance, of course inspired by the town as depicted in the Hobbit book and films. Looking beyond that, we see that Lake-Town functions largely the same as the older cities. A lot of familiar buildings, of which some show some differences, and some new ones, which I will all discuss below. The main function of Lake-Town which sets it apart from the other cities at the moment is the production and usage of Pearls, a new resource type. Although the Pearls factor into construction at some points as well, their ultimate purpose is to aid in training Tactical Troops, a feature players have long waited for. Cities are made up of buildings, so it only makes sense to start with an overview of the buildings that make up Lake-town. I’ll start of with the buildings that remained (largely) unchanged in function and costs, and then move on to the buildings which have changed or are completely new. The following buildings feature in Lake-town and have not changed considerably in form or function from their older counter-parts. Please note that building/construction requirements are not included in these comparisons, so be sure to check part 3 out as well for more information on construction discrepancies! A couple of Buildings underwent some changes from their previous versions, while some are even completely new. Below are these buildings listed, with a small explanation of what their function is or in what way they changed from their older counter-parts. Lake-town Tower. A brand new tower for Lake-town exclusively, it functions in the same way as the Sage Tower in your other cities, although the Relics and Events tab are empty at the moment. It will function in Lake-town exclusive events or functions which will be introduced in the near-future. It is also a training requirement for all Tactical Troops. Please note that the given numbers are unbuffed base numbers. For example, my Lake-town overview gives my protection limit as 1.79 m. I have a level 8 Vault (800k protection), lvl 10 Strongbox research (+100%), and our alliance “Keep it Safe” buff is at lvl 3 (+12%), totaling 1.792 m, just as reported. Construction of buildings in your 5th city also largely remains identical. Buildings level up to 10 after which selected buildings can be Runecrafted. To go to level 10 you still need an HBC, and you need Forge/Ascension/Master runes to runecraft levels *4/*7/*10. Two new features have been introduced in Lake-town construction work to change things around a bit: Pearls and Lake-town architects. Lake-town architects are a new item introduced even before Lake-town was released in the shop, selling for 15 mithril. They serve a similar role as HBC’s and runes in being necessary to upgrade certain buildings to a particular level. They are needed in upgrading the Vault, Tower and Oystering Boats. !Beware when buying Architects though. Although not all numbers are clear yet, it seems that you need around 40 architects to upgrade all buildings. 24 Are needed for the Oystering Boats, the most important ones. The rest goes into the Vault and Lake Town Tower. But the Tower can stay at level 7 for now at which point all Tacticals have been unlocked. The following amounts of Pearls and Lake-town architects are needed in normal construction up to level 10. For completeness, the Oystering research has been given as well. Runecrafting numbers will follow. At the core of the Lake-town city is the production chain for producing Pearls which are used in some construction work, research, and primarily for the training of Tactical Troops. Some of the information has already been given elsewhere in the article, but is mentioned again here for completeness of this chapter. Pearls are the new resource at the center of the supply chain. They can be produced in relatively small amounts by your Oystering Boats (see part 2.2) and also stored for limited amounts. Besides Tactical Troop training, Pearls are needed to upgrade some buildings in Lake-Town, such as The Lake-town Tower and the Oysterboats (see part 3.2). Oystering is a new research that can be found in any of your Academies. Its function is to increase resource production of Pearls by your Oysteringboats at 10% per level, similar to research such as Fertilizer and Masonry. Besides the normal resource requirements, Pearls are also needed here to upgrade the research (see part 3.2). The culmination of the Pearl production line/process is the training of Tactical Troops. Although the icons for TT training are available in all cities, only Lake-town can have a Lake-town Tower and Oystering Boats, which are requirements, meaning TT can only be trained in Lake-town. With the new city also come new Heroes. 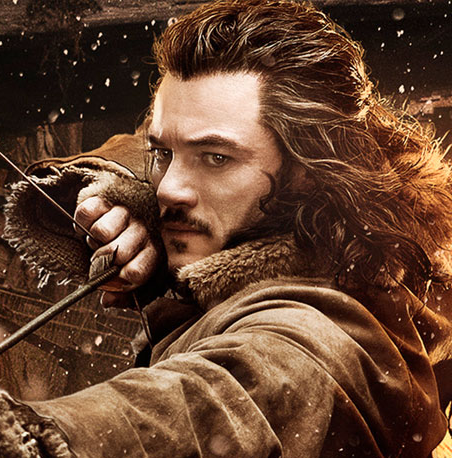 The Main character from Lake-town in both the movies and the game is of course Bard the Bowman, the legendary archer who defended his city against Smaug previously and again in “The Battle of the Five Armies”. Bard is the first Hero to show up in the Great Hall, but a “Call” item has to be used to unlock him, just like Beorn and Tauriel in C4. Additionally, Bard also has his own gear set already announced, which can be found in the Hero Equipment article here. So you have the deed, the plain, and then the Lake-town city. But what are you going to construct first? Where is the focus. Well, from the numbers given throughout this article, it should be clear that you need quite an amount of Pearls to level up all the buildings and researches that require them at first, and then also for training Tactical Troops. First things first though: Ship rss and gold from your other cities to Lake-town and bubble if you need or want to. Next level up your Great Hall to level 2-3. Then, if you planned right, level up (at least) two Heroes to level 240-250. Place these in the Great Hall positions ‘Production’ and ‘Construction’, speeding up resource production of Pearls and construction of all buildings. Make sure you keep enough gold in Lake-town to keep them assigned. I suggest to make it your absolute priority to level up you Pearl producing capacity first after this. Level up the Oystering Boats and the Oystering research as soon as possible, for which you will need to construct an Academy as well, as it can only be researched in Lake-town due to requirements. You do not need to focus on regular resource production or troop training for now, only focus on these buildings for now, as the value of these in the newly introduced Tactical-Train-a-Thons is tremendous. Even with some help from alliance members and tournament prizes (unless you do really good), you will sooner or later run out of Pearls, probably more than once. As normal resources can be gathered much faster and easier, use this time to focus on other buildings. Upgrade the Vault a bit as to protect resources and Pearls, or stay under a bubble. Build one of each building (except for the Tavern) that can be constructed, and slowly start leveling these up. Leave resource production buildings like Farms for the time being; only construct one of each for buildings that have them as a building requirement. The remaining empty lots will be filled with Homes and Barracks for training. Construct a few Homes to make sure you have population for your Oystering Boats, or build some more if you want to participate in train-a-thons soon. Same goes for Barracks. Construct and level up at least one Barrack to unlock the trainable units, and build more to shorten training times. When deciding the number of Homes, you might want to keep in mind the fact that Pearl production and storage is limited, so only certain batches of TT can be queued at once. It would therefor follow you need less Homes compared to other cities, but if you are in an active alliance where many people can help you in tournaments by sending Pearls, you might want to construct some more Homes for more idle population. Tip: You can get two more spaces for either Homes or Barracks by destroying the Academy after Oystering research is completed and destroying or not building a Stables. Stables is only necessary for training Lyncaen Raiders, so if you don’t want that, do not build it. And that is about it. Primary focus is Pearl production, other buildings come second, resource production last or not even at all. Produce the Pearls, unlock the Tacticals for training, and optimize training speeds for competing in special tournaments. If you have any numbers on the runecrafting parts of the charts mentioned in this article, please leave them in the comments. I’m nearly ready to start runecrafting some of the new buildings, but cannot acquire the Pearls at the moment to do it immediately. 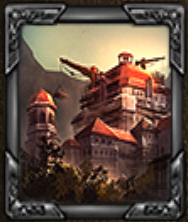 This entry was posted in Articles, City building and tagged 5th city, academy, arboreum, architects, armory, ascension, bard, barracks, bowman, building, buildings, city, construction, deed, dwarven, elven, farm, forge, gold, Great hall, HBC, Hero, hero equipment, homes, kabam, keep, kingdoms of middle earth, KoM, lake-town, lake-town longbowmen, lake-town pikemen, lake-town tower, lumber mill, lyncaen raider, master, master ranger, mine, oysterboat, oystering, pack mammoth, pearl, pikemen, quarry, research, resources, rune, runecrafting, runes, stables, stone giant, Tactical Troops, tower, training, vault, wall, watch tower, woodmen by beardmonkey. Bookmark the permalink. Any news about how to have escargots architects ?? How do you get Bard? Never received a call. Concernons lake-town architects it is now not possible to buy them in the store …..
How can we have them ? I just go Lake Town and got my boats and so forth. In city one it says I can’t train tactical troops without the boats, pearls and so forth. How do I bring them to my first city? Is it good idea to make your lake town a starve city? or should i wait for my 4th city and make that a starve city? depends on your setup…where you farm and campaign from etc…leave that city untouched. Tbh, I dont really farm or train anymore, so I have troops in all cities, though more in some than others..
How do you get the Bard II Legendary Book? I don’t have it in either Sage Tower. In world 175 (and others?) the Laketown Deeds were not handed out for free… short of spending 300 Mithril, does anybody know any other way to get a Laketown Deed? i contacted Kabam about this very thing. I thought they were giving them out for free, but support told me these exact words: “We were only giving out Lake town deeds in December as a Promotional thing.” So, at this point, the only real way is to pay money or wait until they give a free way to get it. Actually, a few days after i put that last comment they added something that lets you get a lake town deed for 20 season coins. Other then buying laketown architect, how can I get them? You can get them from the Along the Shore Campaign. They drop in the chests. Which troops use to hit Smaug efficiently? I started playing in December and didn’t get Lake town. Any advice, please? I have a plain (although the summary doesn’t say so) but I don’t have deed. Anyway I should be somehow informed that I can build Lake town, right? Is a broken link this morning. Thank you for you hard work. Does the laketown tower also improve droprates in campaign? Or is it only the sagetower that does that? cmpaign drop rates are as far as I know NOT affected by Sage at all. From what I know, the Sage improves drops for Relics from Goblin camps only! I have upgraded full 10/*11. Lake Town changes a lot organization of all v5 cities. Wanted to share mine. All my troups are now in Lake Town ready to protect my pearls, and eventually farm other players. I train only Giants, as they do not cost food. On all other cities, giants are only troups ready to move ressources and/or protect. Therefore all standard cities can train t1. Actually, I doń´t défend my Lake Town because I Thiakane itvs not necessary. I make one launch of troops per day when my stock is in thé highest level. In our team (world 53) we have all day a lot of movements betwwen our members not to loose our stocks. This site will unfortunately not service as a marketplace for selling accounts for KoM. When farming…if u want rss u send wags…if u want gold u send troops. Can anyone tell me if u want pearls, is is best to send supply carriers or troops? depends on whether they are defended or not. Pearls are extremely scarce so people will most likely defend them very well! Im not actually sure if you need fighting troops to capture pearls but I dont think so. We conformed it.with a test…if undefended u only need supply carriers 🙂 ty though and ty for all of your posts and hard work! thank you and happy hobbiting! about pearl production being limited: does this mean that when you reach say, 1.2m pearls (i don’t know where the cap is exactly), the production freezes there? if you farm others, the looted amount will add up, or the cap is definitive, and can’t be crossed neither by farming, or by using pearl items (the latter i know for sure won’t cross the cap. there was complaining about it on the forums)? because if you can cross the cap by farming, it might be worth building more homes, and then split the idle pop in two, or more. thanks, and really appreciate the passion you put in your work! Pearls appear to be different from any other resource. The terminology is even different. Other resources have a max “capacity”, which all of us go over when we farm or share rss with alliance. 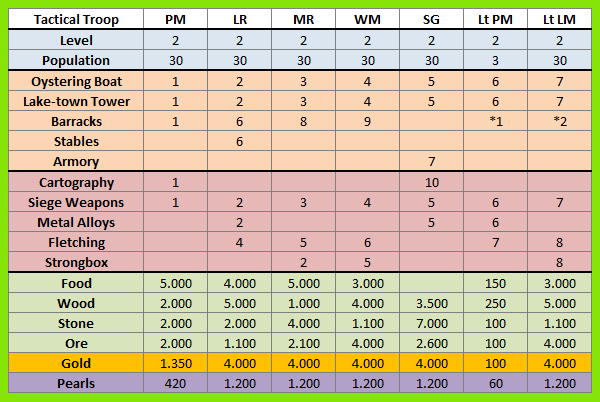 Pearls have a max “storage”, which appears to be a definitive number, regardless of whether the pearls are produced by your boats, farmed, used pearl items, or shared among alliance members. Pearls are providing all kinds of interesting issues to think about, for example: Pearls can ONLY be stored in Lake-Town, therefore can only be shipped from one Lake-Town to another, and can only be farmed from your Lake-Town. There can really be no “alliance bank” for pearls, because you can only store so many. It’s really going to challenge alliances to think outside the box on how to share this new, and valuable, resource….or to just not pay any attention to Lake-Town…after all, with how limited training is for TT, is it better to just focus on getting gala tokens and winning all the TT you need from premium? Regardless, lots of new things to consider and discuss! I’ve heard rumor that in the next update we will get two more boats for lake town, anyone else hear this? Did not heard that but pearls can be looted now on campaign and premium. What happens if someone requests 1 mil pearls and can only store 1 mil and two people send 1 mil pearls each? Is one of the transports returned or lost? I didn’t know how to build by city so accidentally clicked on the ‘Claim’ button on one of the events in the sage tower and it looks like my Lake Town deed is gone. Any way of getting it back so I can build my Lake Town. I later found where I was supposed to do it. nope. You can try and send a ticket to Kabam, but I doubt they will give you back your deed…. Check the Sage Tower, right now in Lindor9 you can exchange the deed for just one Bilbo’s hourglass and it seems to last for a week from now. If highest requirement for tower to train troops is 7, what is benefit of levels 8-10? Would it be wise to wait to upgrade that past 7 until you have used architects to get boats and vault to *11 first? like you said, if you want to train all TT go to level 7, and wait with levels 8-10 while spending architects on vault and oystering boats. If you have any other small gaps that you need filling, i’d be only to glad to assist. I’m not the Oracle by any means, but i do have some experience. You Blog has alwasy been of great interest and full of excellent knowledge, which have no doubt aided the vast Hobbit Community. Is there a max amount of pearls that can be held like there is for gold? not sure, what maximum for gold are you talking about? The max any city can hold is just over 4 billion in gold if you try to send over the limit it disappears. Is there any limit like that for pearls? I have no clue, never even heard of the gold limit. But pearls generate so slowly that the 4b cap would be mroe than enough for most banks I guess..? Jup there is. 2 boats fully runecrafted allow u to hold 1.77m if im not wrong. check ur resource bar, theres 2 number for pearls, the second one is ur limit. If u are up to capacity the first number is marked red. yup, its become clear that Pearls cannot be stored over storage limit, so no banking this rss im afraid…. Does strongbox research and alliance buff also count for pearls? So if I have a level 6 vault that holds 200k pearls, would a level 10 strongbox and a 10% alliance buff protect 440k pearls (200K x 2 strongbox = 400k x 1.1 alliance buff = 440k)? Great article. It stinks that the strongbox doesn’t apply in Lake-Town. The vault’s a little weird. Mine’s at level 5 and I’m only protecting 1.12M. Does your chart need correcting or should I submit a trouble ticket? That seems correct. At level 5, the base protection is the 500k from my chart. With lvl 10 Strongbox, that becomes 1m. the 120k left is probably due to your alliance having the “Keep it safe” alliance buff at level 3 (12%). This buff applies after Strongbox, so 1m x 1.12 equals you reported 1.12 m.
For me it also works out: level 8 vault in Laketown> 800,000 x 2 (Strongbox) =1,600,000 x 1.12 (we have the buff at lvl 3 as well) = 1,792,000. Exactly as reported in my Laketown overview. So it seems everythign is working correct and Strongbox does in fact work correctly in Lake-town…did this help you? U do not need to have any other city to build laketown. What u need is a plain, without a plain u cant use your city deeds. So go find a plain on the map and attack it like u attack wilds when u want to boost ur resource production..that is in case u do produce.